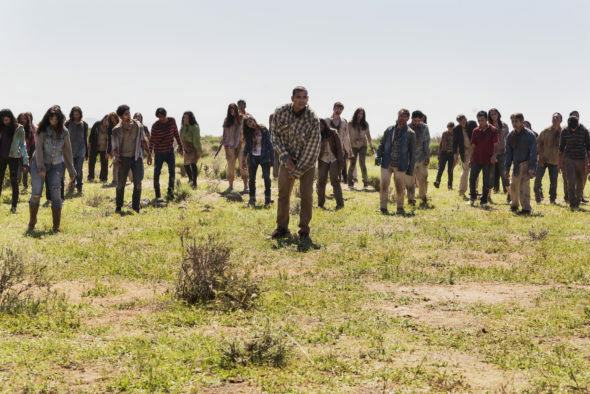 “Death is not to be feared, but it shouldn’t be pursued.” AMC released a new trailer for the season two return of Fear the Walking Dead at this year’s San Diego Comic-Con. The Walking Dead spin-off explores the beginning of the zombie apocalypse. The cast includes Kim Dickens, Cliff Curtis, Frank Dillane, Alycia Debnam-Carey, Lorenzo James Henrie, Rubén Blades, Mercedes Mason, and Colman Domingo. Season two of Fear the Walking Dead returns to AMC on August 21st at 9 p.m.m ET/PT. What do you think? Do you watch Fear the Walking Dead? Are you excited for season two to return? I can’t wait for the second half of Fear The Walking Dead returns! I love this series and I really liked the season 2 trailer.